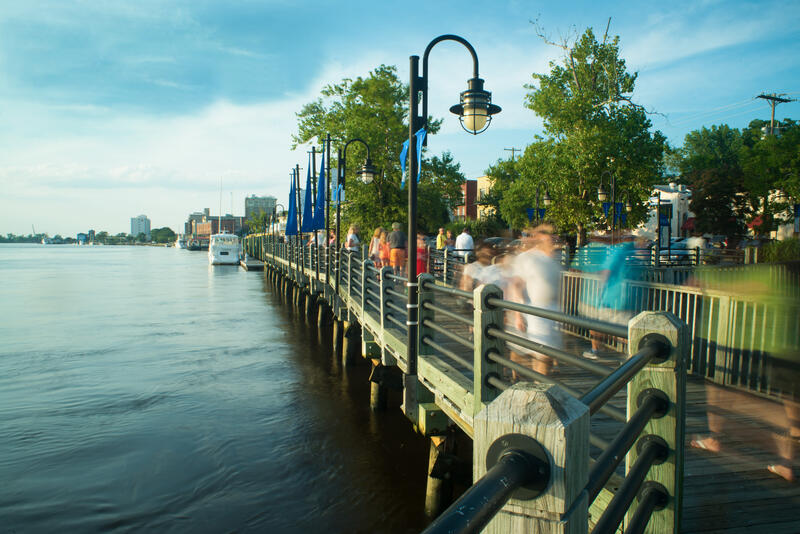 Wilmington's riverfront is concentrated in a vibrant, walkable River District, bustling with locally owned shops, restaurants and nightlife and anchored by breathtaking views of the Cape Fear River. 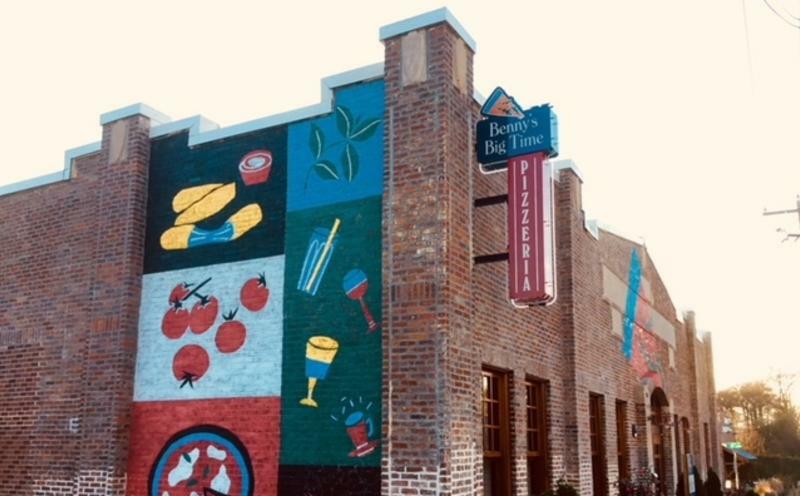 With the recent addition of new and renovated hotels, waterfront restaurants, rooftop bars, a marina and an event pier, it’s no wonder Wilmington, NC, was recently selected as one of "The South's Best Cities" by the readers of Southern Living magazine and TripAdvisor’s “Top Destinations on the Rise." Our burgeoning River District combines the city’s historic charm and rich past with modern design and new attractions. 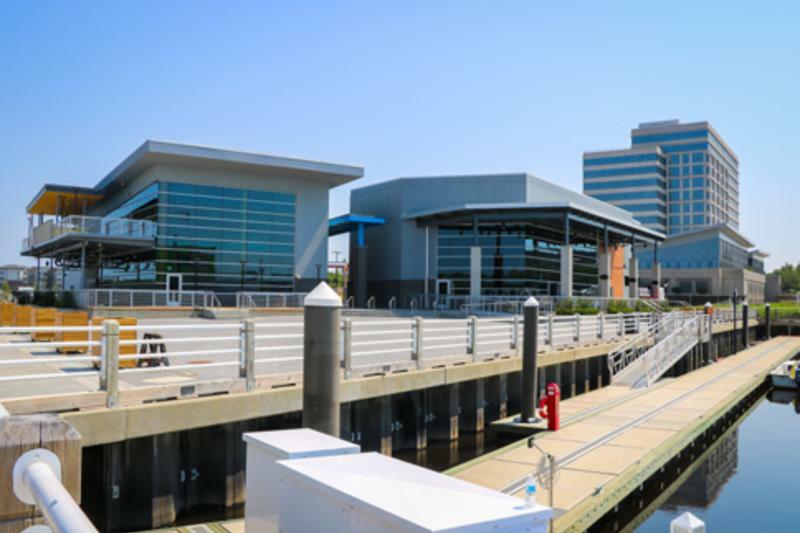 Here’s a look at the River District’s rich past and steady favorite attractions and activities, along with recent additions and a preview of the future transformation coming to Wilmington’s award-winning riverfront. Let the water be your guide to discovering new adventures. Several new riverfront restaurants are opening in the heart of the River District, including the now-open Marina Grill and Marker 14, which is slated to open in 2018, at Port City Marina. The Embassy Suites Wilmington Riverwalk hotel is home to both Steam Restaurant and Bar, with signature seafood dishes like the Cast Iron Diver Scallops, and Cloud 9 Rooftop Bar, with craft cocktails and breathtaking river views. Board and Barrel Coastal Kitchen, which opened along the Riverwalk in 2018 as part of the renovated Hotel Ballast, Tapestry Collection by Hilton, features barrel-aged cocktails and imaginative small plates with a Southern twist. 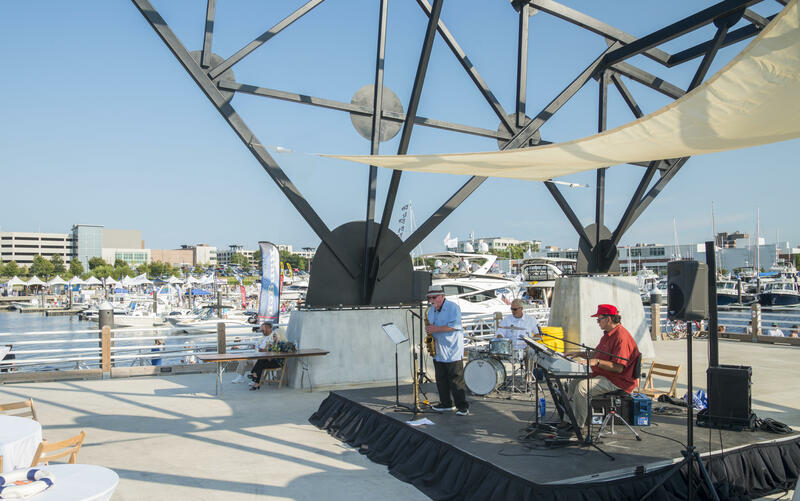 Pier 33 Entertainment, the event pier at Port City Marina, is a one-of-a-kind waterfront venue that hosts everything from nationally touring musical acts and culinary events to weekly Yoga and Mimosa classes and weddings. 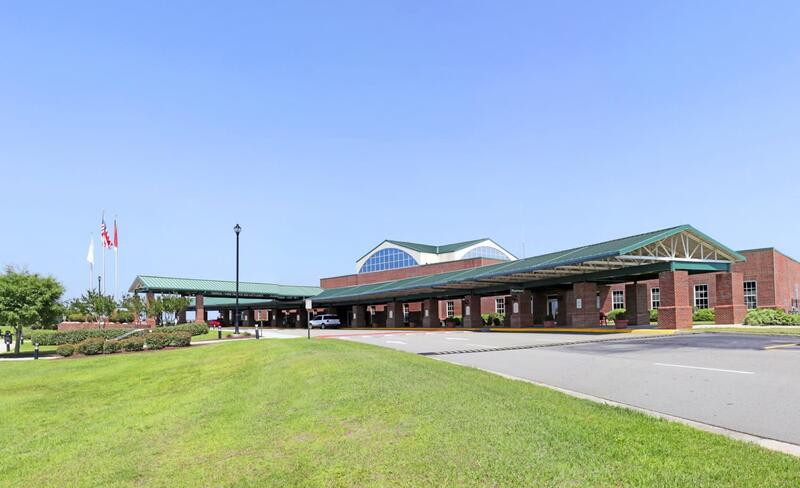 It is situated on the banks of the Cape Fear River at Port City Marina, a 204-slip protected, deep water, full-service marina adjacent to the Wilmington Convention Center. 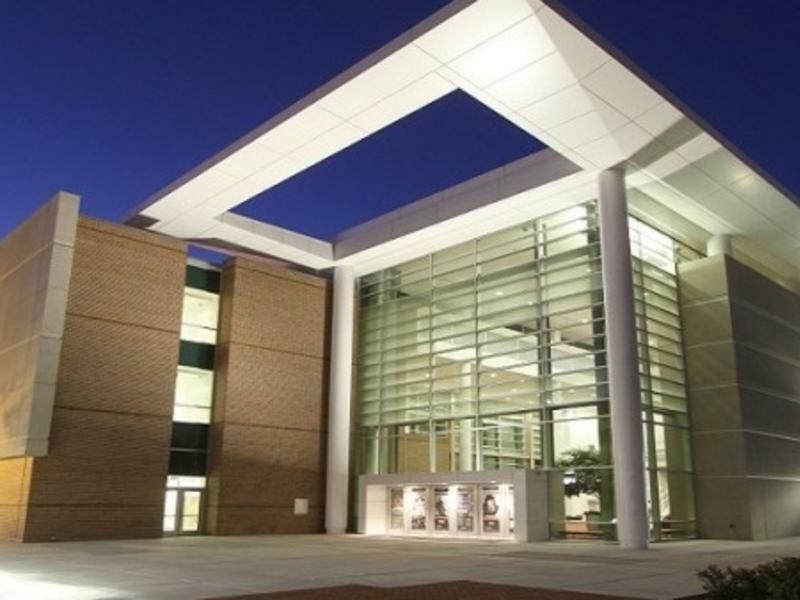 The largest and most technologically advanced performance center in Eastern NC, the Wilson Center features the best of Broadway, a sampling of stars and a dash of dance. The Center is also available for group rentals with seating for 1,600 people. 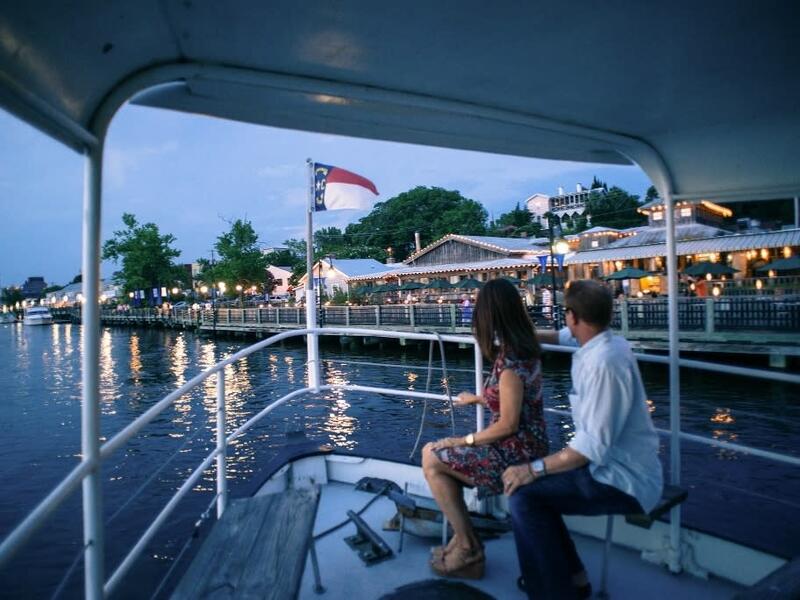 One great way to explore our award-winning riverfront is via a cruise along the Cape Fear River. For those who prefer to stay on land, join one of downtown&apos;s many guided tours for a narrated trip around the city by horse-drawn carriage, trolley or Segway. There are a number of popular attractions within the River District and seasonal events bring live music, festivals, a weekly farmers market and so much more to our active riverfront. Locally owned boutiques and shops line the streets of Wilmington&apos;s River District. 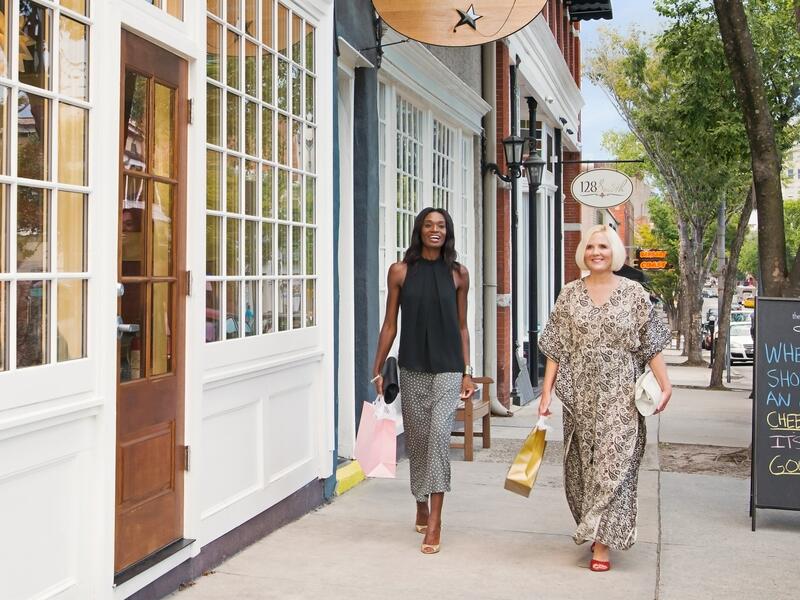 Shop 30 specialty stores in one location with a trip to the Cotton Exchange, an historic building that served as Wilmington&apos;s hub for commerce in the 1800s and early 1900s. Shops and restaurants along Front Street offer unique gifts, vintage and designer clothing, arts and antiques. Don&apos;t miss the local vendors at Chandler&apos;s Wharf and Old Wilmington City Market on the south end of the Riverwalk. With the stately Battleship NORTH CAROLINA in the background, the fountain in front of the US District Court House on Water Street is one of our most popular photo opps. Across from the fountain is Riverfront Park, a small green space home to events throughout the summer months, like the Riverfront Farmers Market in the summer and the Downtown Wilmington Christmas Tree Lighting during the holiday season. Along Water Street, at the foot of Chestnut Street, you&apos;ll find the Veterans Memorial. Walk a few blocks north and visit Orange Street Landing, an official site on the National Underground Railroad Network to Freedom. Wilmington’s Riverwalk received improvements in 2017, including a new streetscape at the foot of Market Street. Future work will involve more streetscape and Riverfront Park improvements. When finished, the Riverwalk will run for more than two miles. 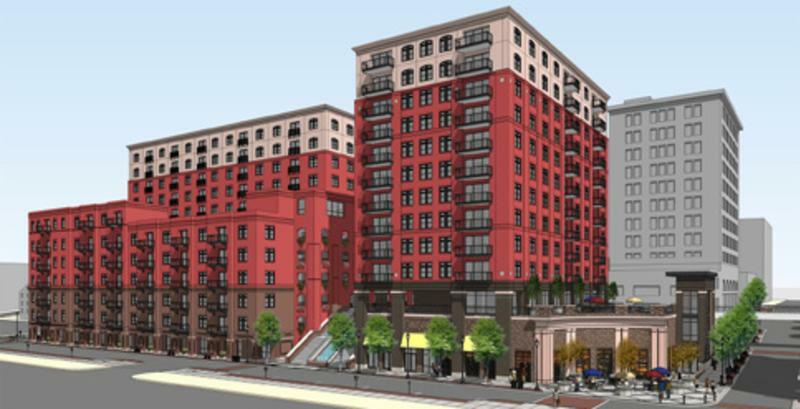 River Place, a 13-story mixed-use building with condominiums, apartments and a parking deck, along with nearly 32,000 square feet of retail space overlooking the river, is expected to be finished in late 2019. 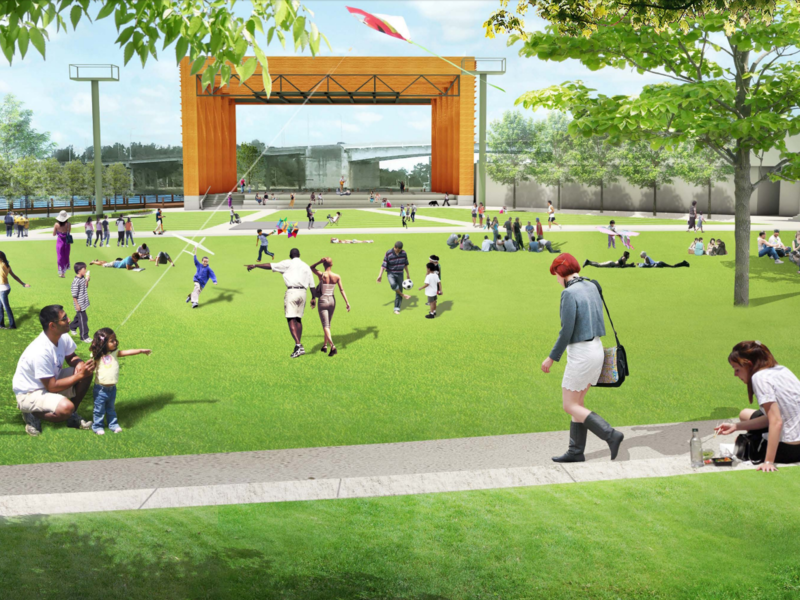 The design phase of North Waterfront Park is currently underway. 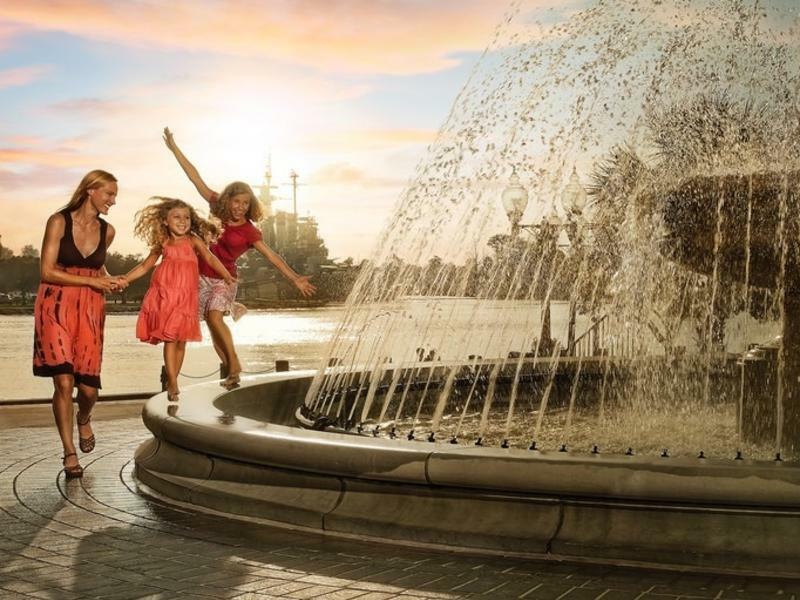 Among the features envisioned for the park are a children’s play area, splash plaza, beer gardens, extensive open lawn space, an inland boardwalk and connection to the Riverwalk. The largest feature is an outdoor performance space that will host outdoor events and concerts managed by Live Nation. Wilmington International Airport (ILM) recently began offering non-stop flights to Washington, DC (IAD) and Chicago (ORD) via new carrier United Airlines. ILM also offers non-stop Delta and American Airlines flights to destinations including New York (LGA), Atlanta (ATL), Charlotte (CLT), Philadelphia (PHL) and Washington, DC (DCA). 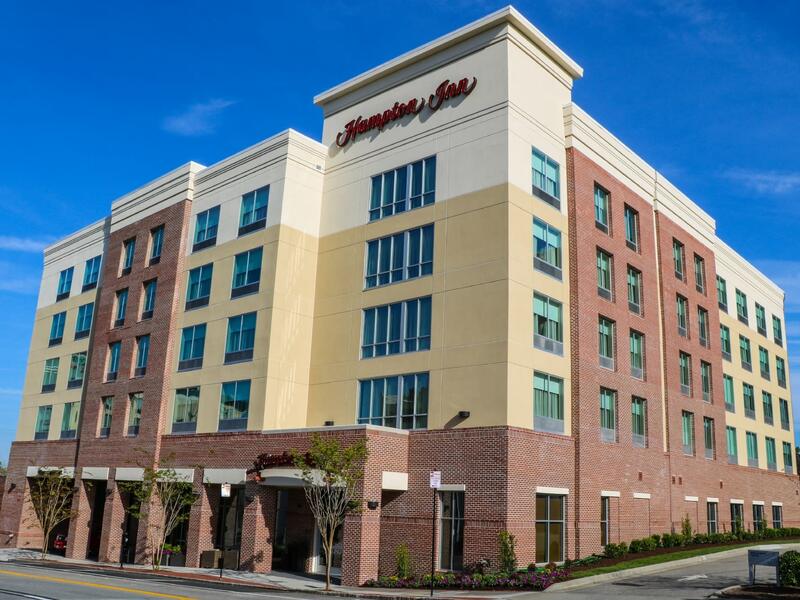 The Hampton Inn by Hilton Downtown officially opened its doors in 2017. The property offers 92 guest rooms and suites, along with a 1,222 square-foot meeting room for up to 75 people. 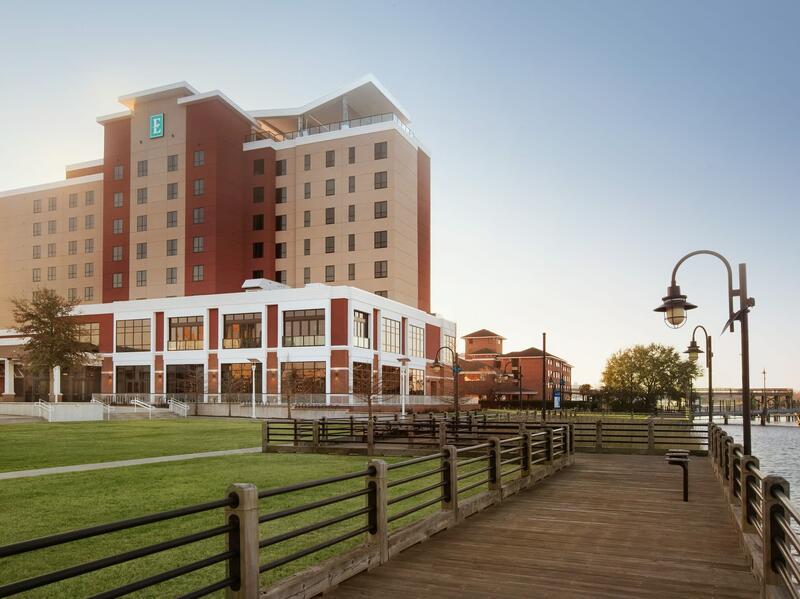 Located adjacent to the Wilmington Convention Center, the Embassy Suites by Hilton Wilmington Riverfront Hotel opened in early 2018 with 186 two-room guest suites and 6,600 square feet of meeting space. Cloud 9, a 4,003 square-foot roof deck and bar located on the ninth floor, features expansive views of the Cape Fear River and downtown Wilmington. The Aloft Coastline Hotel, now under construction, is a seven-story, 125-room property featuring a full-service restaurant, ground-level bar, rooftop bar, meeting rooms, banquet rooms, guest services, outdoor terraces, a fitness center, service kitchen and an outdoor pool, as well as a 7,000-square-foot ballroom. Guests can host weddings and private events on the rooftop looking out across the scenic Cape Fear River. The hotel will be adjacent to the 100-year-old historic Coastline Conference & Event Center, which will be renovated as part of the project. The existing building will house an additional 3,000 square feet of meeting space. Additional new properties will include the proposed Hotel Indigo, located across from the Wilmington Convention Center; and another yet-to-be-named downtown hotel. 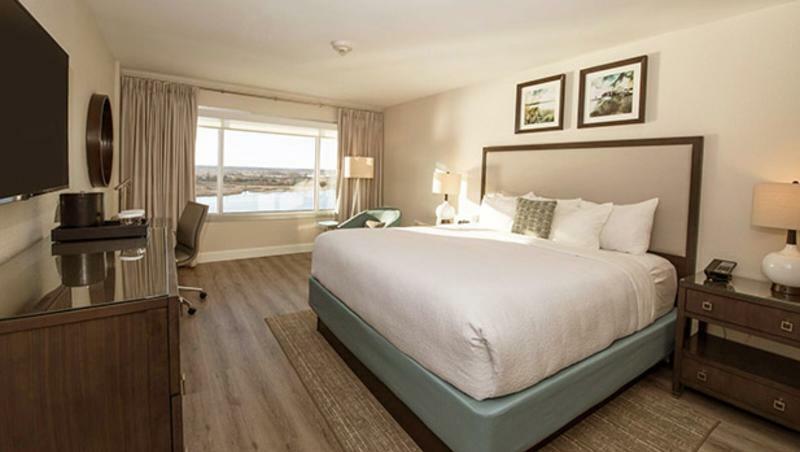 The Hotel Ballast, Tapestry Collection by Hilton (formerly the Hilton Wilmington Riverside) recently completed an $11 million renovation. The project included complete guestroom and guest bath renovations, the addition of a bridal suite, a refresh of the guest corridor, and complete renovations to all public areas of the property. All ballrooms and meeting spaces at the hotel received a complete rejuvenation, along with a transformation of the outdoor pool area and the addition of two new restaurant concepts.